The spread of disease through human populations is complex. The characteristics of disease propagation evolve with time, as a result of a multitude of environmental and anthropic factors. Non-stationarity is a key factor in this huge complexity. In the absence of appropriate external data sources, to correctly describe the disease propagation, we explore a flexible approach, based on stochastic models for the disease dynamics, and on diffusion processes (Brownian processes) for the parameter dynamics. Coupled with particle MCMC, this approach allows us to reconstruct the time evolution of some key parameters of an epidemiological dynamic. UQ Group seminars are every Wednesday at 2pm in ENR2 S395. Bernard Cazelles, a pioneer in innovative statistical approaches and tools for ecological data modeling, will give a talk at the Tree-Ring Lab seminar on "Accounting for non-stationarity when analyzing ecological time series ", 12-1pm, Bannister 110. Long-term changes in climate, human demography and/or social features of human populations have considerable effects on the dynamics of numerous epidemics. 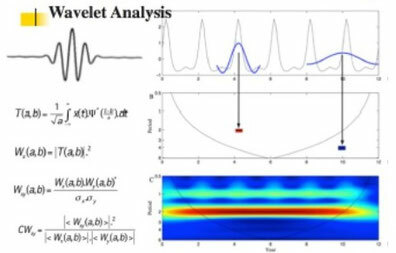 Wavelet analysis appears very attractive as a first step to exploring the complexity of both the population dynamics and their links with environmental signals before the modeling stage. 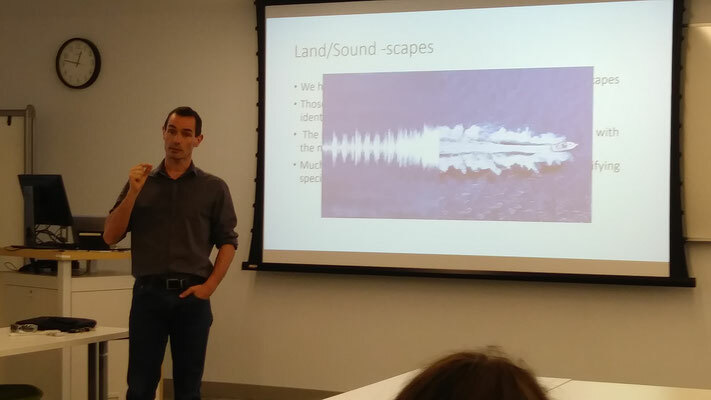 Lisa Vincent, a visiting master's student doing an internship at the UMI, is presenting her research on Soundscapes at the Women in Data Science conference. The conference aims to inspire and educate data scientists worldwide, regardless of gender, and to support women in the field. Watch the video of her presentation. 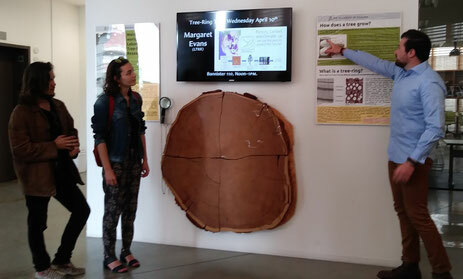 Axel Rodriguez, a UMI collaborator who is doing research at the Tree-Ring Lab, explains to the UMI team what dendrochronology means, i.e. the scientific method of dating tree rings to the exact year they were formed. This method was formally established with the creation of the Lab in 1937 and can also give data on atmospheric conditions during different periods in history. 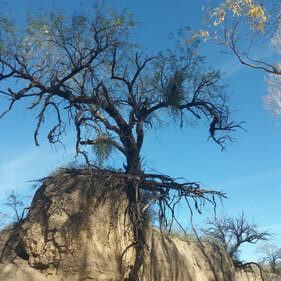 The oldest living tree is in California, but its location is kept secret. It is a 5068 year old Great Basin Bristlecone Pine. 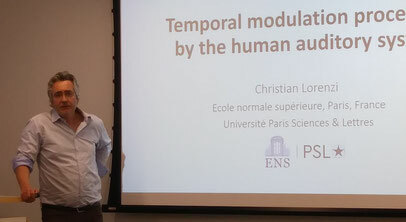 The workshop started with a presentation by Dr. Christian Lorenzi, Professor at the Department of Cognitive Studies at Ecole Normale Supérieure in Paris, on "Temporal modulation processing by the human auditory system". 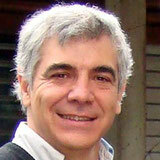 Then followed short presentations by François-Michel Le Tourneau (CNRS), "What are soundscapes? 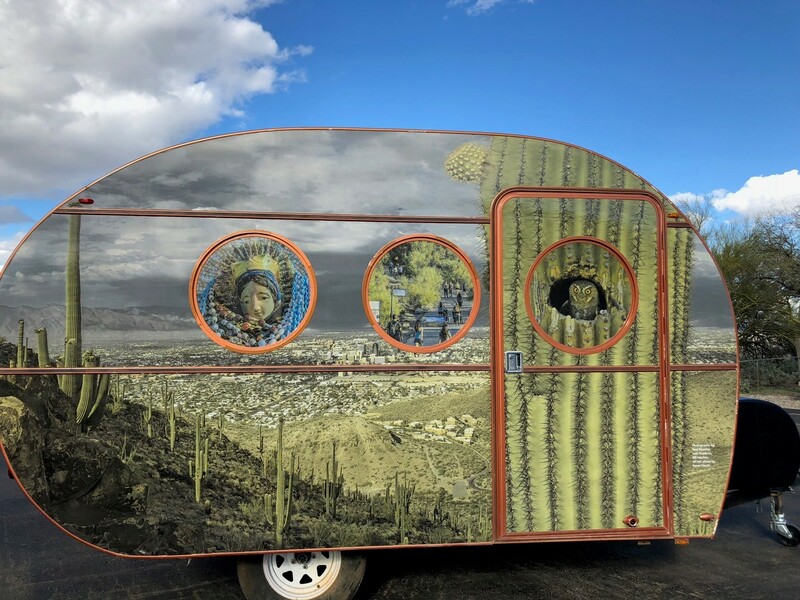 ", Lisa Vincent (ENS), "Soundscapes Analysis" and Pierre Deymier, UA Department Head of Materials Science and Engineering, "Topological Acoustic Sensing". 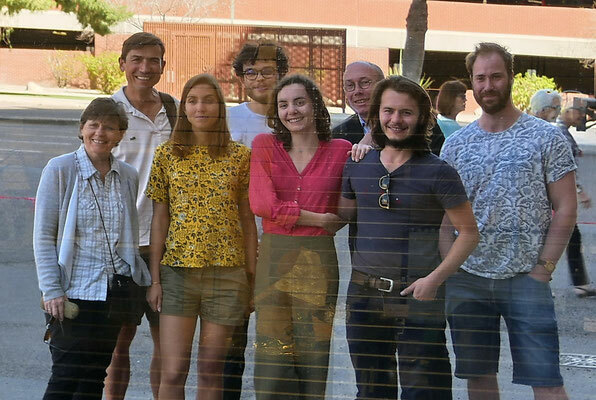 Since the Director of the Universe & Theory Lab of the Paris Observatory, Stéphane Mazevet, was visiting the University, several UMI scholars also took a tour of UA's Mirror Lab where innovative large lightweight mirrors are constructed using a honeycomb structure. These mirrors are used in a new generation of telescopes that use optical and infrared light. The large 8.4 m mirrors weigh 20 ton and are moved using a crane! 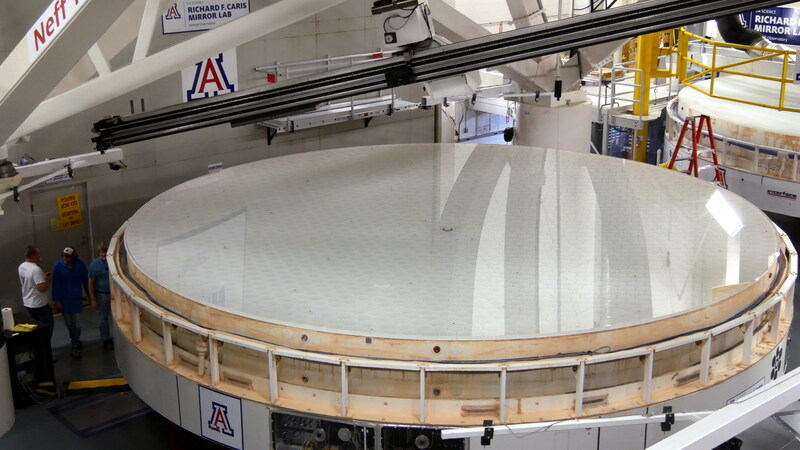 Seven of these mirrors will be used for the Giant Magellan Telescope that will be installed in Chile. 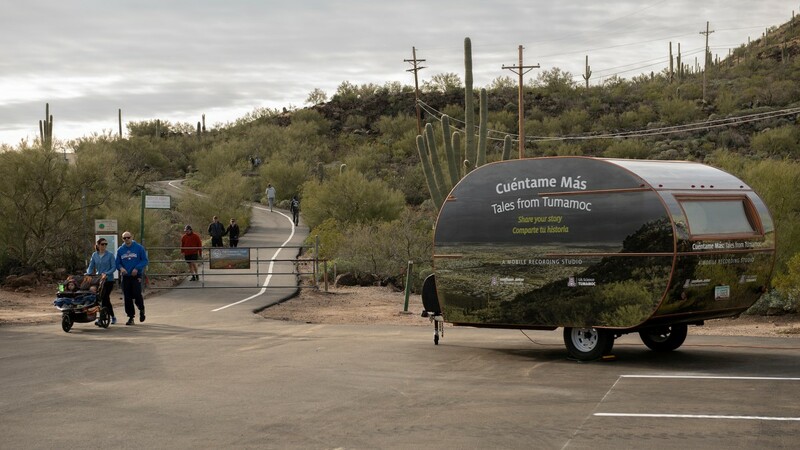 Today, Axel Rodriguez, a graduate student from Ecole Normale Supérieure in Paris, is doing a presentation on "Climatic limitation on tree growth at the Northern Hemisphere's highest tree line: focus on Larix decidua" at the University of Arizona. What to expect under different climate change scenarios? 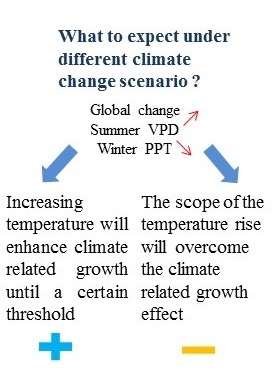 How is growth dynamic affected by temperature? See full schedule. 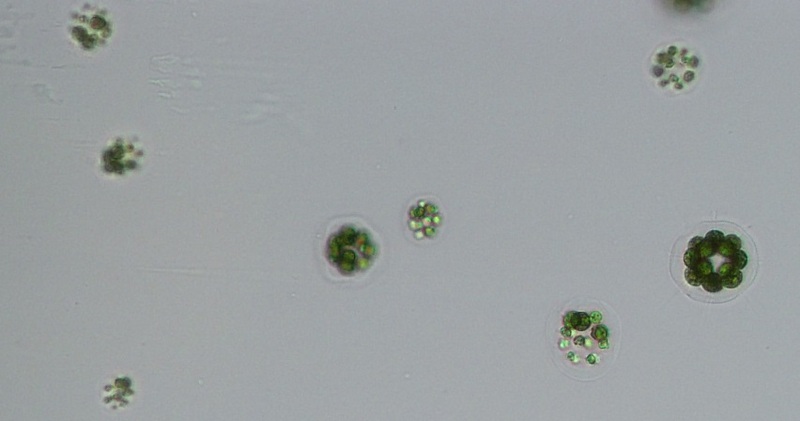 Arthur Cousson, a visiting master’s student from the Paris Ecole Normale Supérieure, is working with UA’s Michod Lab team on the Volvocine green algae, a group composed of small multicellular freshwater algae. This family of algae shows a complexity gradient in their cellular organization, from undifferentiated-celled colonies to differentiated-celled colonies. 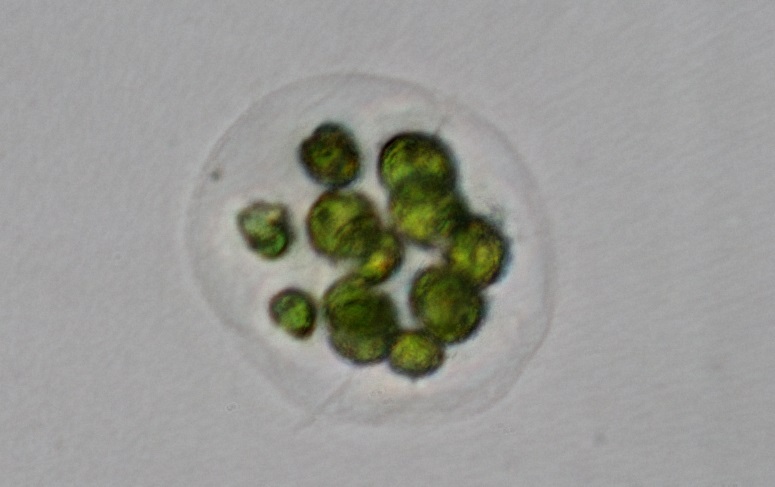 They are doing research on the co-option (recycling) of their closest unicellular parent, Chlamydomonas' survival mechanism, as a way to establish the cellular differentiation in more complex organisms. 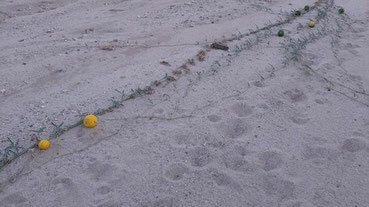 In Chlamydomonas, when conditions are bad, the growth and division capacities stop and then restart on better days. In the Volvocines, it is used to maintain the somatic cells in their non-reproductive state. 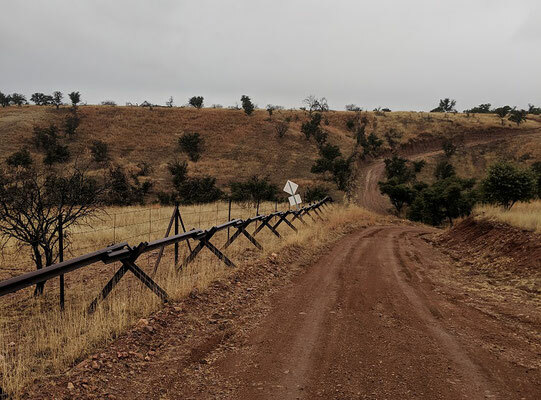 How can transnational and environmental standards impact and/or shape local conflicts? 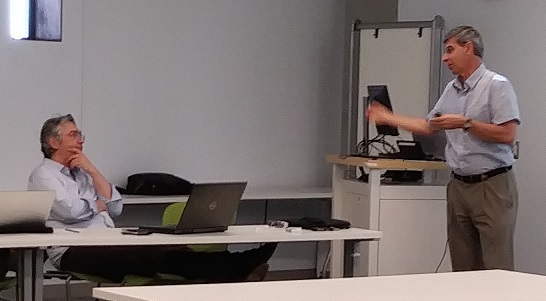 Visiting French researcher, Marie-Esther Lacuisse, talked about how trade liberalization and the neoliberal state policies, supported by the Washington consensus, led to the privatization of development projects in Latin America and an increase of foreign company investments, particularly in the mining and hydroelectric power sectors. Confronted with this new industrial order, many socio-environmental conflicts have broken out in various Latin American countries and rural populations have begun to renew their “repertoire of contentious” by using international and transnational levers to try to defend their rights. 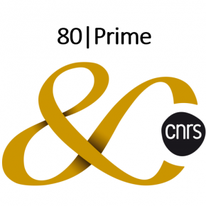 In celebration of CNRS' 80 years, MITI (Transverse and Interdisciplinary Action) put in place a call for papers at the end of 2018, 80|Prime (Inter-institutes, multi-team research project). As in all of its projects, the goal is to support original, interdisciplinary projects that break new ground and require a combined expertise of at least two laboratories from two different CNRS institutes. Régis Ferrière, Director of the UMI and PI of the project, is one of the 80 winners this year for his project "The Emergence and Dynamics of Cultures of Cooperation: Mathematical Modeling in the Context of Climate Change and Climate Extremes". Did you know that this topic is part of the UMI's scientific program? Visiting French researchers Arnaud Banos and Lisa Vincent gave a presentation on the soundscape project. What methods should be used to differentiate soundscapes? Are there variations between day and night sounds? 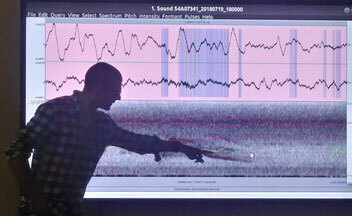 How does one tackle the challenge of transparency since sound events are not separate on a spectrogram, but rather summed up together into a whole? 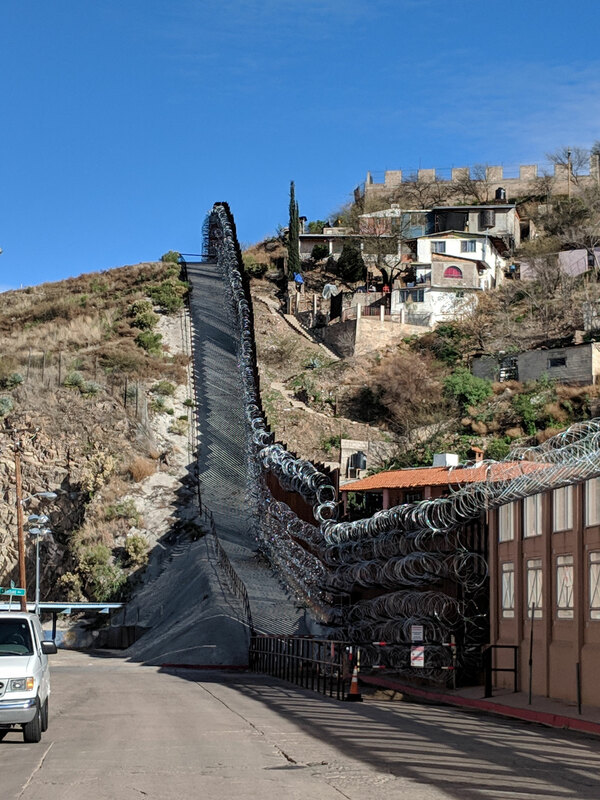 Several French researchers took a trip to Nogales to see what the border between Mexico and Arizona looks like. The Desert Lab's project, sponsored by the UMI, is still on-going this Spring with interviews of hikers and visitors of Tumamoc Hill on the values and meanings they ascribe to it. 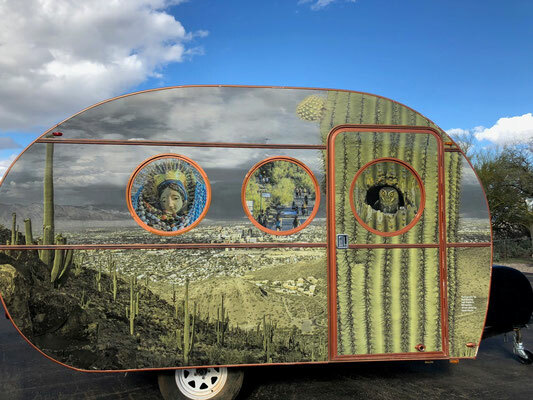 For more details, see 2018 news and experience it by walking the hill. 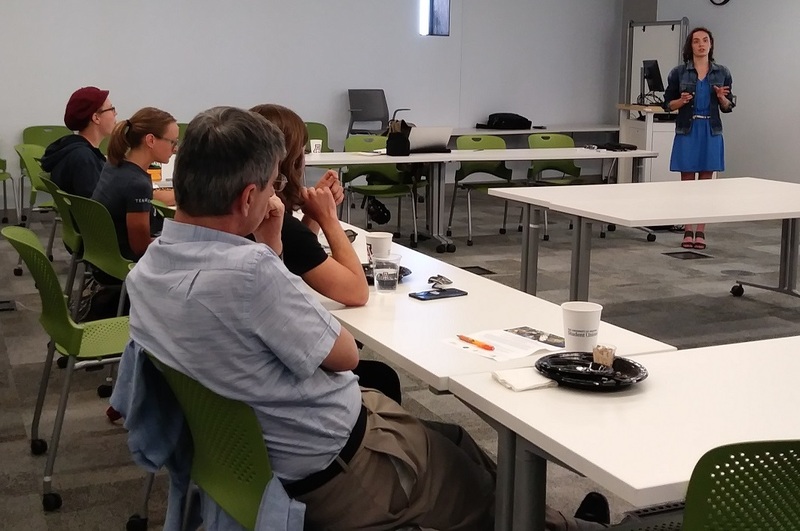 Visiting French researcher Marie-Esther Lacuisse, working on the Pima County Observatory project, joined the Pima Association of Governments’ Cienaga Creek hydraulic monitoring program. PAG members include the Cities of South Tucson and Tucson, the Towns of Marana, Oro Valley and Sahuarita, Pima County, the Pascua Yaqui Tribe, the Tohono O'odham Nation and the Governor-appointed Pima County representative of the Arizona State Transportation Board. 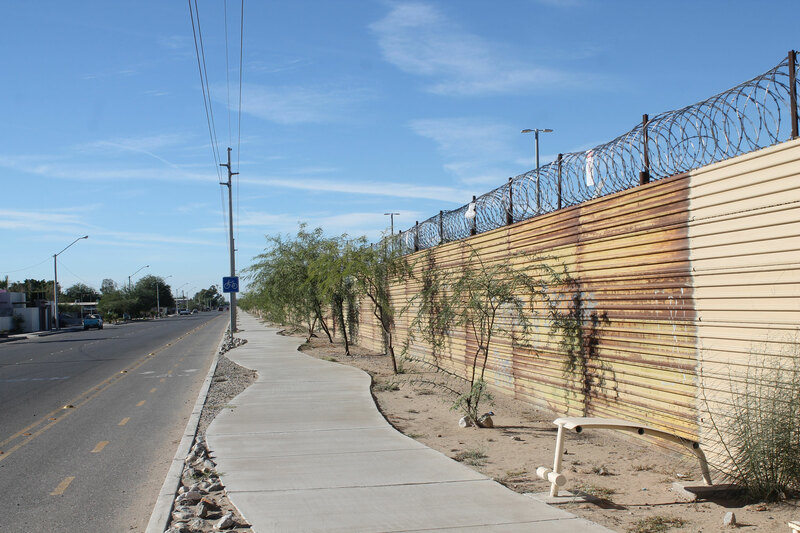 Its mission is to address regional issues through cooperative efforts and pooled resources, and to provide accurate, relevant data that leads to effective regional planning decisions. Four times a year, it controls the evolution of the hydraulic resources in Cienaga Creek and Davidson Canyon. As part of her post-doc study on the opposition to the opening of the Rosemont mine, Marie-Esther participated in this endeavor in order to see the natural environment that surrounds the future site of the mine.